Major rear year addition, new kitchen familyroom, new master bedroom and master bathroom, new trim and doors, new windows and trim, restore facade, new entry stairs. This project consisted of a whole house remodel and major three story rear yard addition to an existing San Francisco Victorian Era house. The rear part of the house was poorly constructed required extensive reconfiguration. It was decided to remove and rebuild a portion of the back of the house. Included in the newly reconfigured back end of the house was a new master bedroom and master bath, a kitchen/family room area and an additional space below to be used as a home office. The front steps of the house were in poor condition. The front porch area was leaking and in need of extensive restoration. It was also decided to install all new windows on the front of the house. 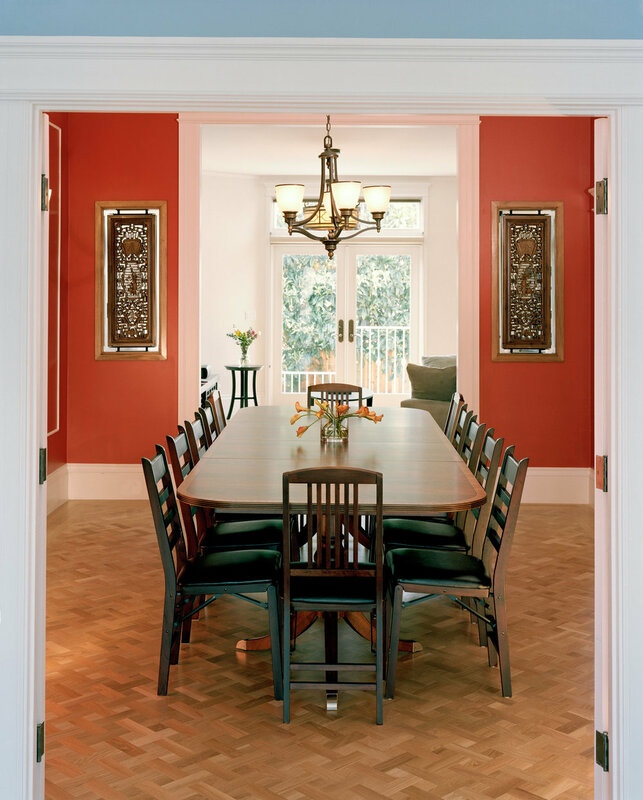 While much of the work we executed was to restore and maintain the original character of this traditional Victorian era house, the owners wanted some areas of the house to reflect an Asian design character. The kitchen family room was to have a British Empire inspiration which incorporates an Asian theme. 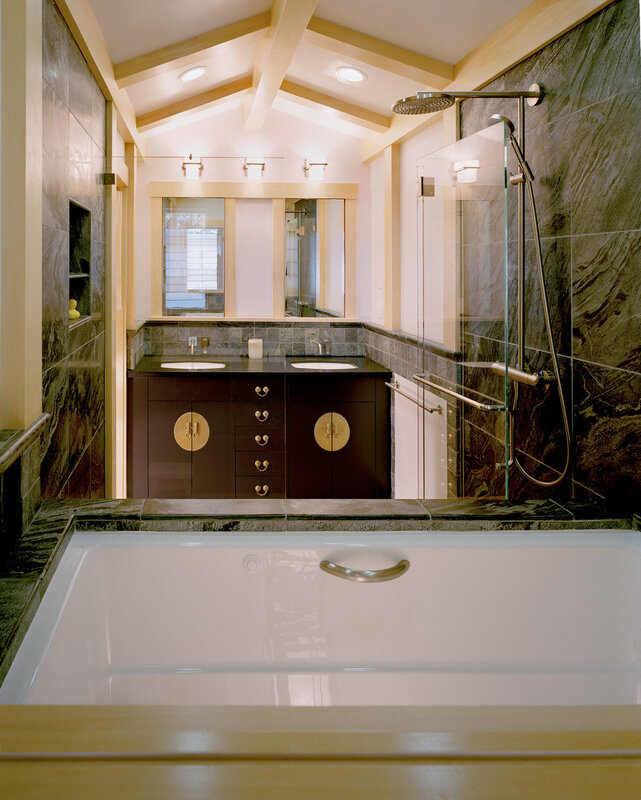 The master bedroom and master bathroom has a restful Japanese character to remind the owner of their travels. A new stair was inserted into the middle of the house to ease circulation between the first and second floors. 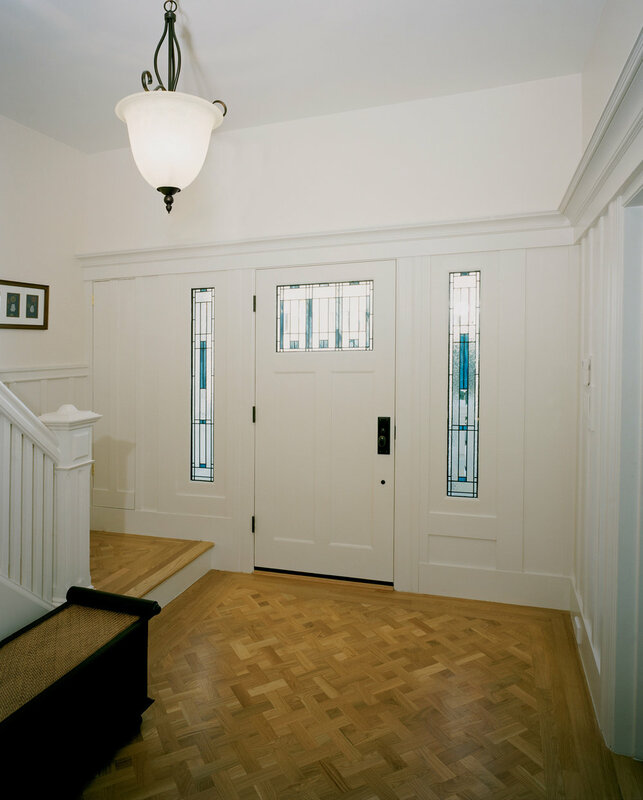 The stairs and hallway were designed and detailed to match the original Victorian detailing of the house.